This set has 4 identical wheels. These wheels are the only ones available in 1.35 with the correct profile on both faces - like the other wheels in the Leopard Workshop range. 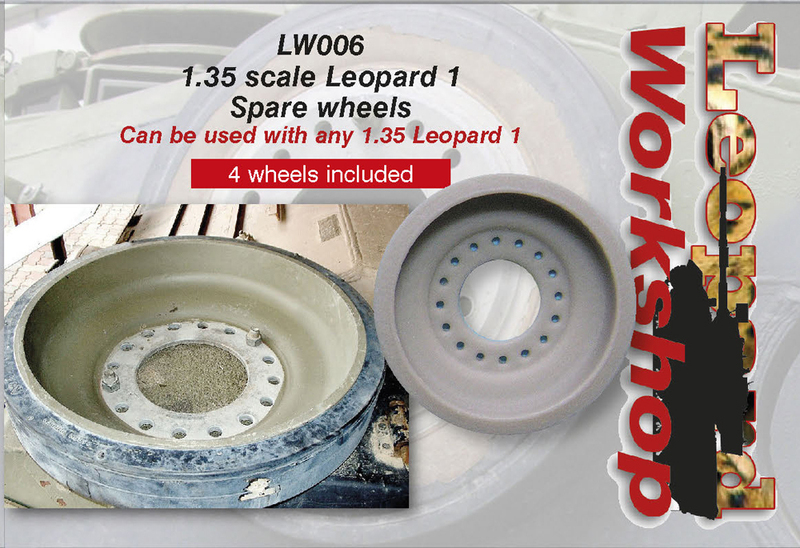 Leopard wheels have 16 bolt holes so that they can be used as either roadwheels (with an 8-hole retaining plate) or idlers (with an 16-hole retaining plate). They are carried in various locations by various users, some official and some unofficial. The most common carriers are Australian AS1s and Danish 1A5DKs on their MBTs (1 or 2 carried) and any country on their ARVs (up to 4 carried). This set of 4 wheels will therefore have plenty for your needs!